Fell Seal: Arbiter's Mark plays out as an indie developer's love story to turn-based strategy RPGs of the past. Taking inspiration gathered from the likes of Final Fantasy Tactics, Vandal Hearts, Disgaea, and others, Fell Seal satisfies that nostalgic need for the excellence of yesteryear. Though amateurish at times, the faithfulness towards the genre of old makes up for the grammatical errors, occasionally unrefined dialog, and somewhat cliché concept. Strong homages and wonderfully tactical combat are helping to drive Fell Seal: Arbiter's Mark through its Early Access stage towards an anticipated, if cautious release. 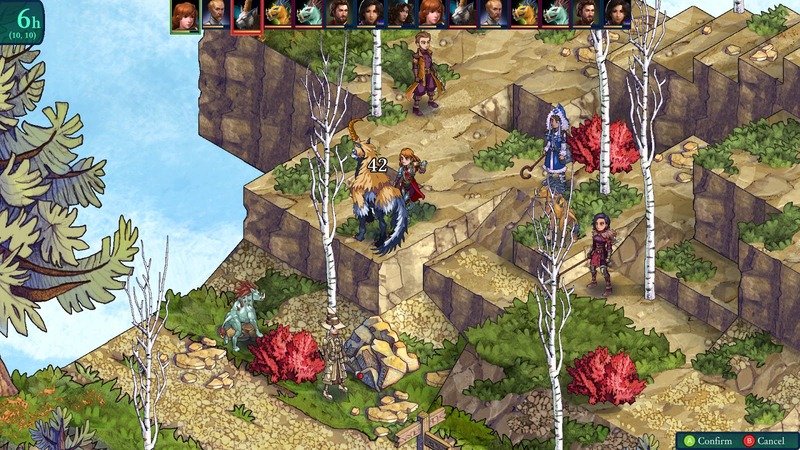 To start, Fell Seal: Arbiter's Mark is still in Early Access. This means that any issues, both technical or in its writing, may yet be addressed and given the responsiveness of 6 Eyes Studio, chances are good that any glaring mistakes or issues will be addressed forthwith. Since its release to Early Access there have been 16 updates from 6 Eyes Studio, many of which are hotfixes for reported issues; if there is one thing to be said, it is that they are indeed open, communicative, and extremely responsive. These very things go to show that Fell Seal: Arbiter's Mark is about as far from a nostalgia-grab as it can be, and instead is a truly dedicated lovestory to a long-overlooked genre. For those that have played Final Fantasy tactics the very start of the opening scene in Fell Seal will be extremely familiar; so familiar in fact that I was initially concerned with copyright issues, as I know that Square Enix can bring down the hammer *hard* on developers and titles that contain similarities to their properties. As the game starts the camera pans downward and the first thing you see is the dark, overcast skybox, then a steeple to what appears to be a church, then it pans down even further into a city rather than a churchyard. Still, the similarities in that scene are stunningly similar. Not bad mind you, not at all, and like FFT, Fell Seal's initial scene works as a combat tutorial. 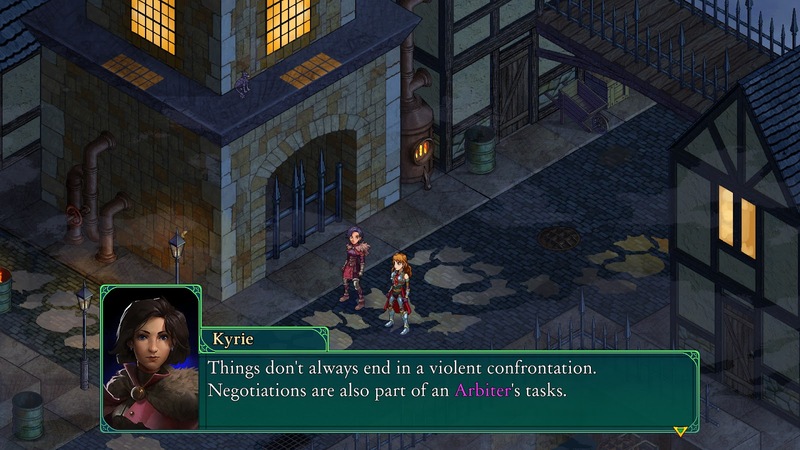 However rather than run off to a plot of a stolen princess, Fell Seal feels a bit darker (even with the more lifelike, if comic-book-like sprites) and as soon as dialog starts and characters/character roles are introduced, it immediately gave me the same impression that I would receive were I to have a bird's eye view of White Chapel. London at the turn of the 20th century. After you have your band of miscreants squared away, you will continue on through the story (after a larger and quite challenging battle at a crossroad) where you are an Arbiter, which in the world of Fell Seal is a bit like a special cop, and without spoiling the story, I can say it is both familiar and fun, if a bit amateur at times with its writing. A little time spent editing the dialog and making it a bit more natural could go a long way with it. Combat, though a bit unbalanced at times (damned assassins …). Fell Seal: Arbiter's Mark is on its way to being a wonderful title and given a little time, could very well be an excellent stand-in until a new Disgaea title is released. 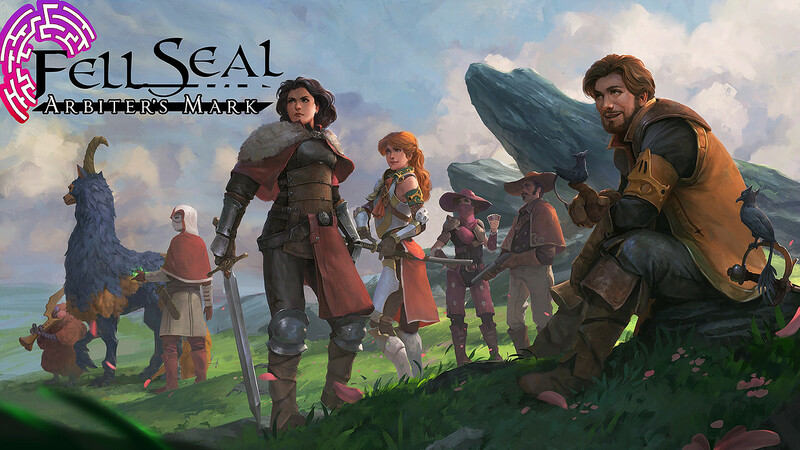 With a little work to mature its writing and a bit of time spent balancing its massive count of classes and abilities, Fell Seal can be a strong opening of a new franchise of turn-based strategic roleplaying games. Those looking to support 6 Eyes Studio should head over to Steam and pick up the Early Access.